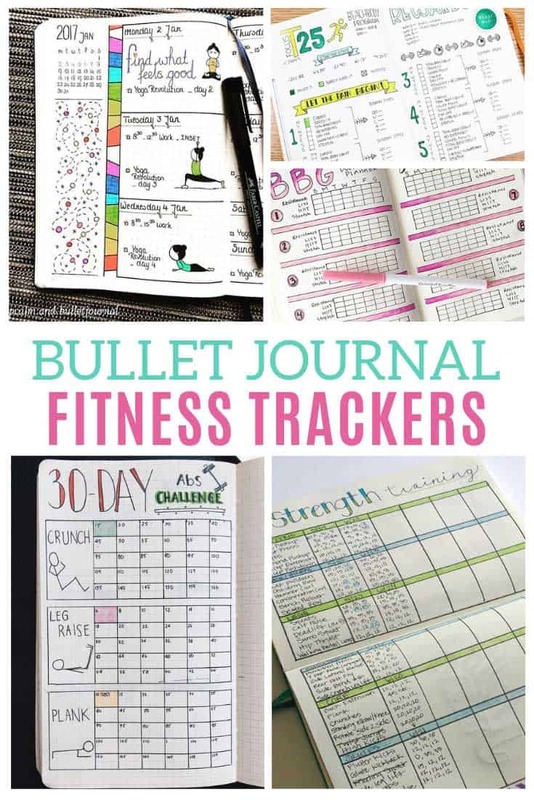 Everyone is loving these bullet journal fitness trackers. 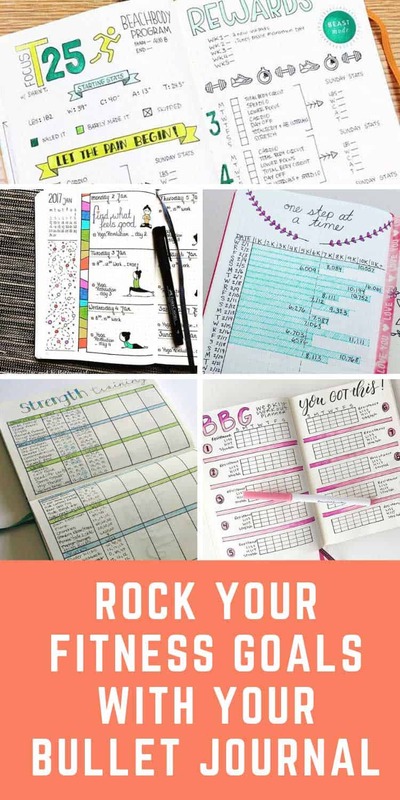 From C25K and BeachBody to yoga and weight loss it’s time to rock your goals! 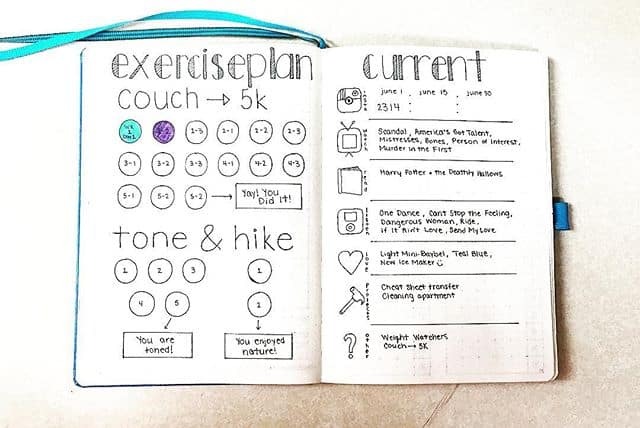 Today we’re all about getting fit with your BuJo! 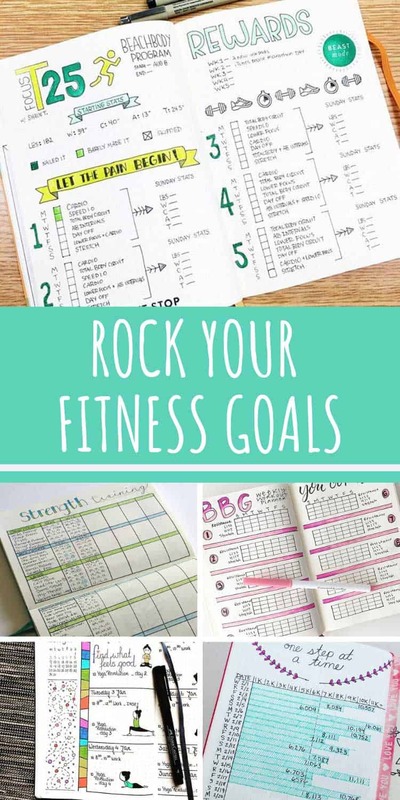 Whether you want to go all out with the Beachbody T25, ease in gently with the couch to 5k challenge or even limber up with some yoga poses we have some Bullet Journal fitness tracker ideas for everyone! 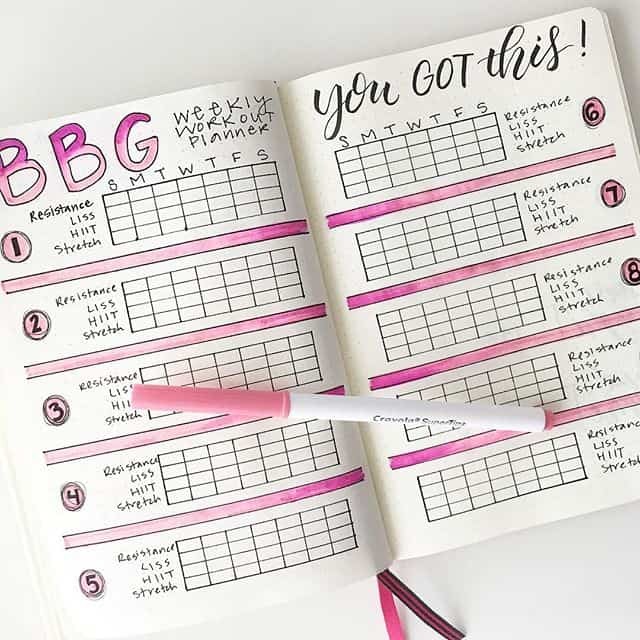 This post is of course part of our ever growing list of Bullet Journal Tracker layouts! 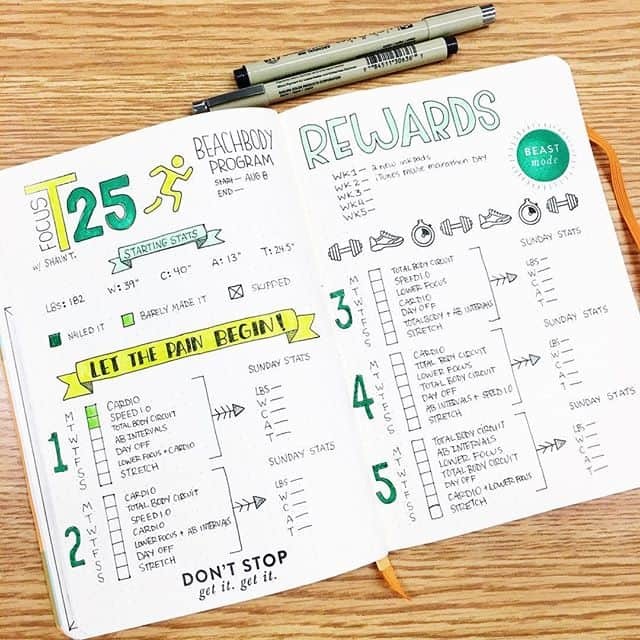 I love that this Beachbody T25 tracker includes a rewards list! 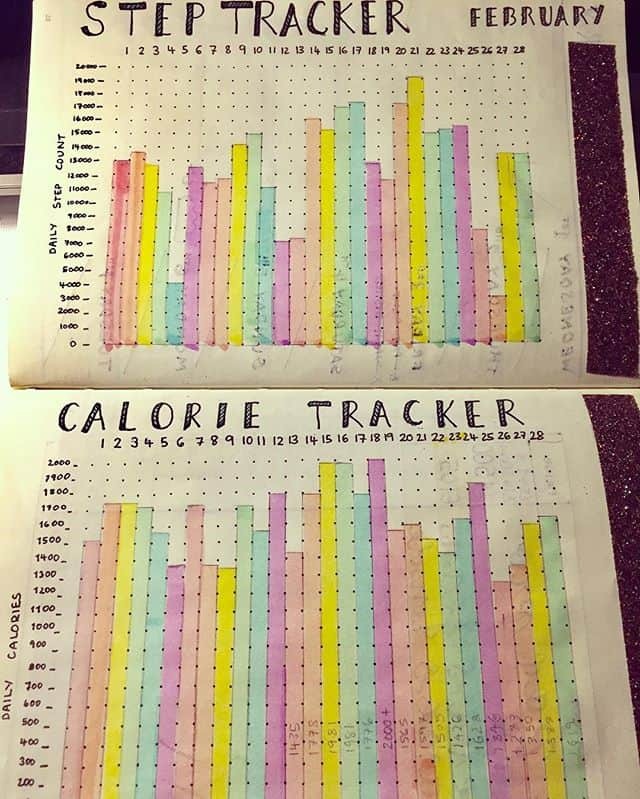 Tracking your calories in your Bullet Journal instead of just on an app somehow makes them more real. It’s time to get off your couch and on your feet as this exercise plan helps you reach that 5k! 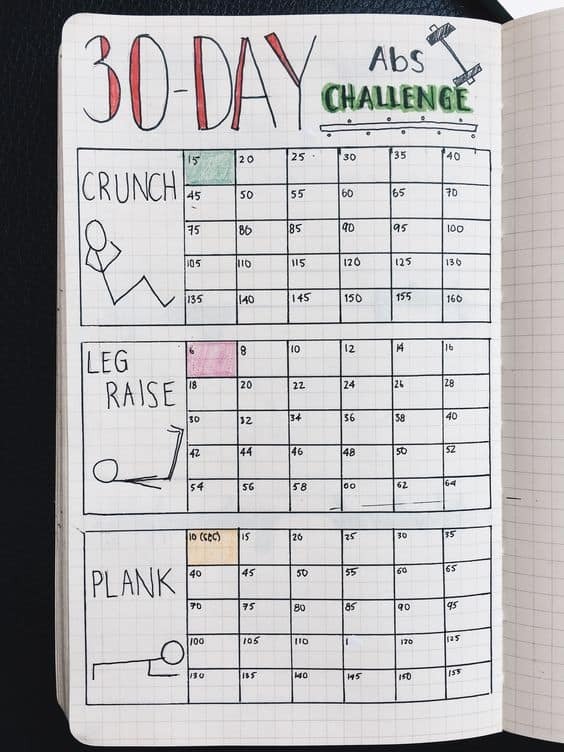 Here’s a great way to track individual exercise reps in your fitness plan. 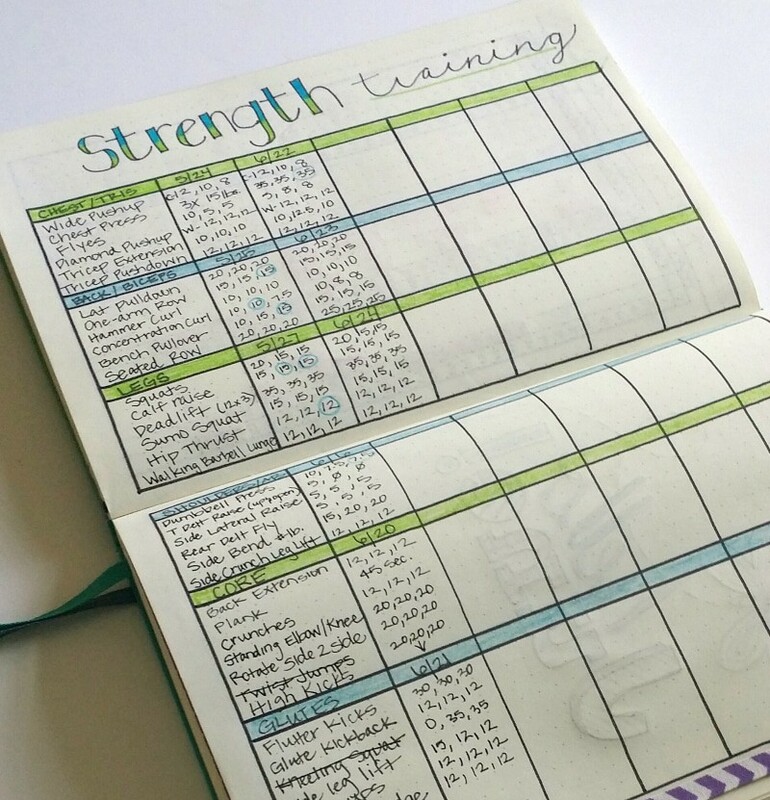 Ih HIIT is your thing you need one of these tracking spreads in your Bullet Journal. 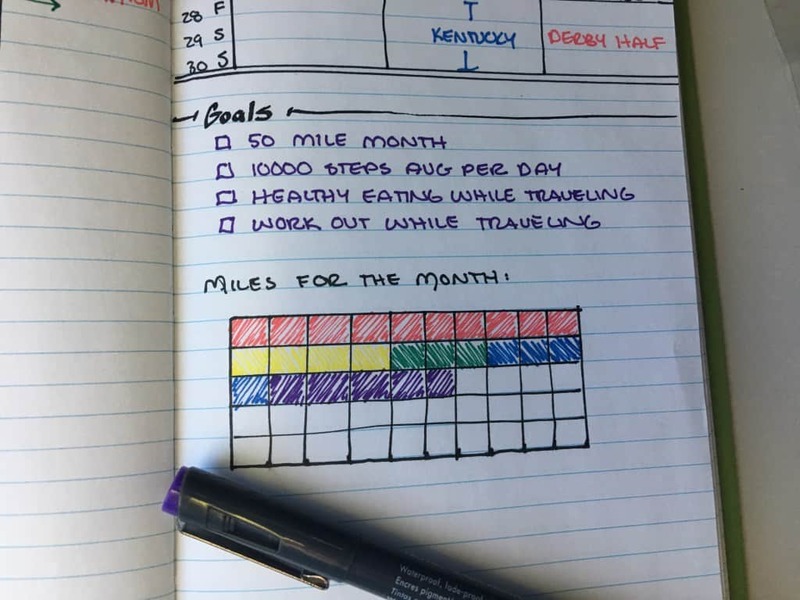 Keep track of how many miles you run each month with this super simple spread. 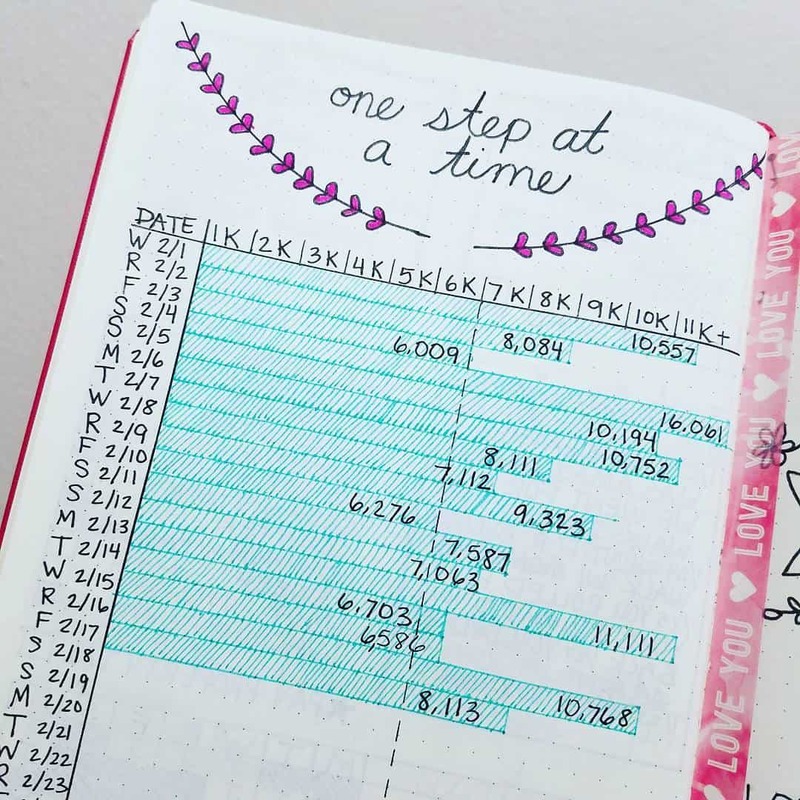 Tracking your steps on a layout like this will let you see which days you fall behind so you can do something about it! 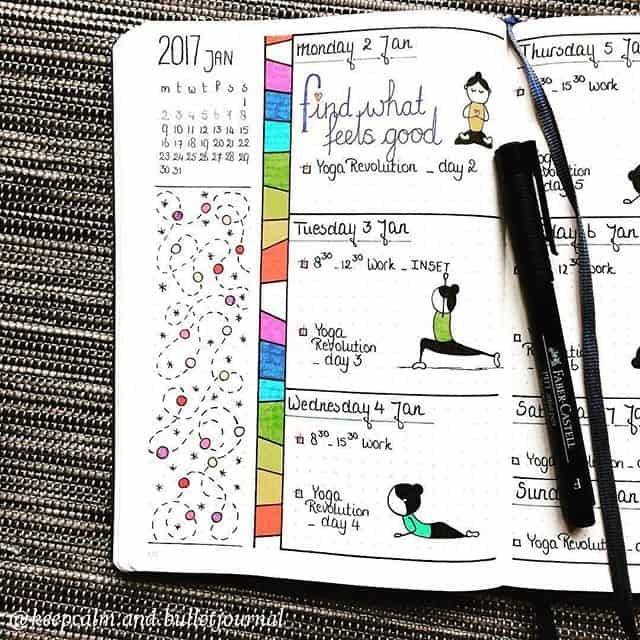 If you’re strength training right now this is a great spread to help you track your reps.
Have fun doodling your favourite yoga poses! 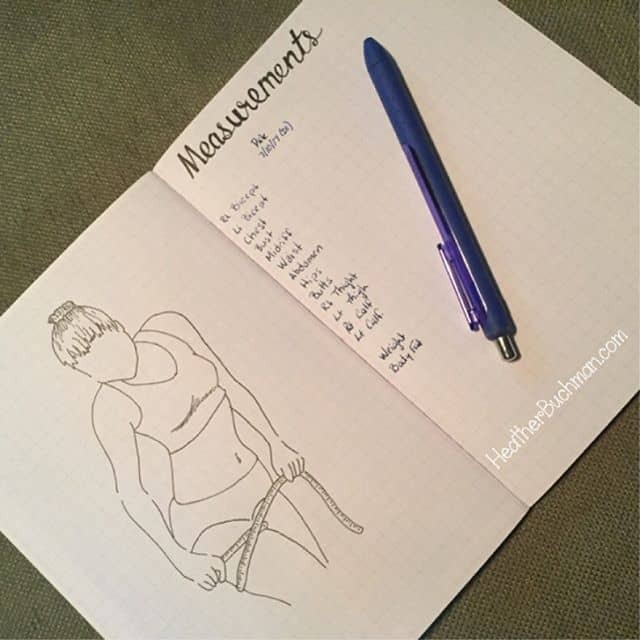 One of the best ways to monitor whether your diet and fitness efforts are working is to track your inches lost. 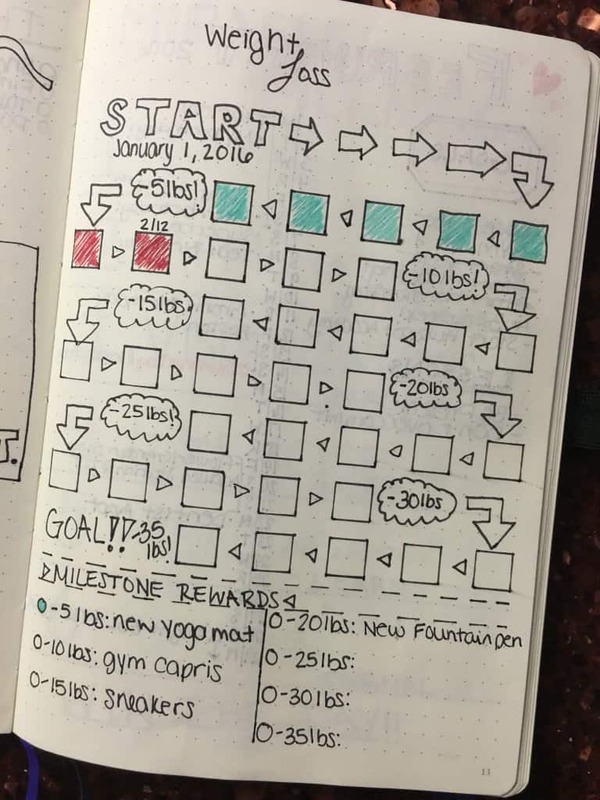 I love the gamification feel to this weight loss tracker. And of course it has those all important reward milestones in it!